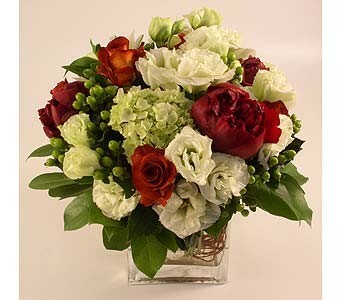 A lush and lovely arrangement of red roses, hydrangea, lisianthus and berries artfully arranged in a square vase. A best seller. 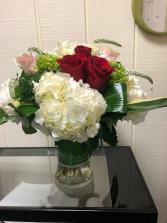 Lovely Lavender roses with green and white Hydrangea Stock hand picked from California with yellow accents. 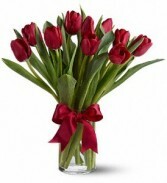 I perfect Valentines alternative! 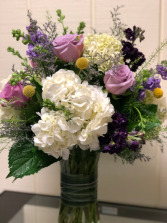 This customized vase arrangement created from our most popular arrangement the Sea Breeze has beautiful green and white hydrangea with Red Pink and Hot pink roses A SURE HIT ON VALENTINES DAY! !